Come and enjoy Portugal as it was intended. 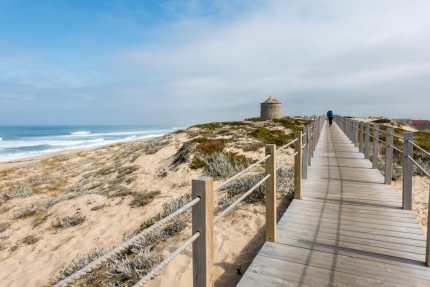 Take in the beautiful beaches, culture and gastronomy of this region of northern Portugal.The ‘younger’ Coastal Camino doesn’t always hug the coastline, although it’s spectacular when it does. This route is characterized by cobbled roads, esplanades, boardwalks, sea views and forest paths. This hiking trip starts from the medieval heart of Porto winding its way up through northern Portugal. The Portuguese Ways hold a special place among the pilgrim routes to Santiago de Compostela. Starting from Porto, it follows the coastline north. Walk along sandy beaches and through historical coastal towns of northern Portugal, the rugged Galician coastline and beautiful beaches of Baiona before joining the central Camino in Redondela.